Working Wardrobes and Unity Shoppe Organizations. 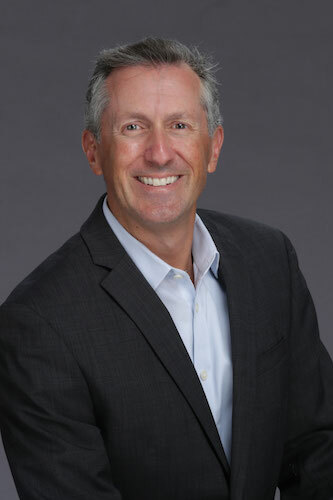 The South Coast Business & Technology Awards Committee announced that Jeff DeVine, President and CEO of American Riviera Bank, will be named Executive of the Year for 2019 at their awards event on Tuesday, June 4th. 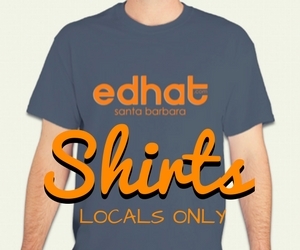 The awards are heralded as an opportunity to join over 700 business leaders at the largest networking event on the South Coast with proceeds benefitting the Scholarship Foundation of Santa Barbara. The event honors and recognizes companies and individuals for their commitment to the local community and economy. 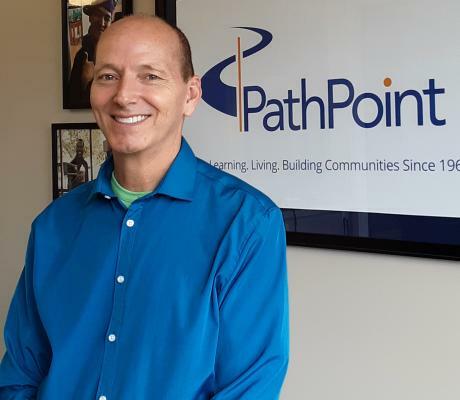 PathPoint announced the appointment of Mark Maynard as Vice President of Human Resources, overseeing nearly 500 full-time and part-time staff operating in 24 sites across five counties: Kern, Los Angeles, San Luis Obispo, Santa Barbara, and Ventura. Affordable, pre-inspected devices now available. SecurePRO, San Luis Obispo’s source for “Everything Tech”, announced today that it carries pre-owned computers, phones and tablets. 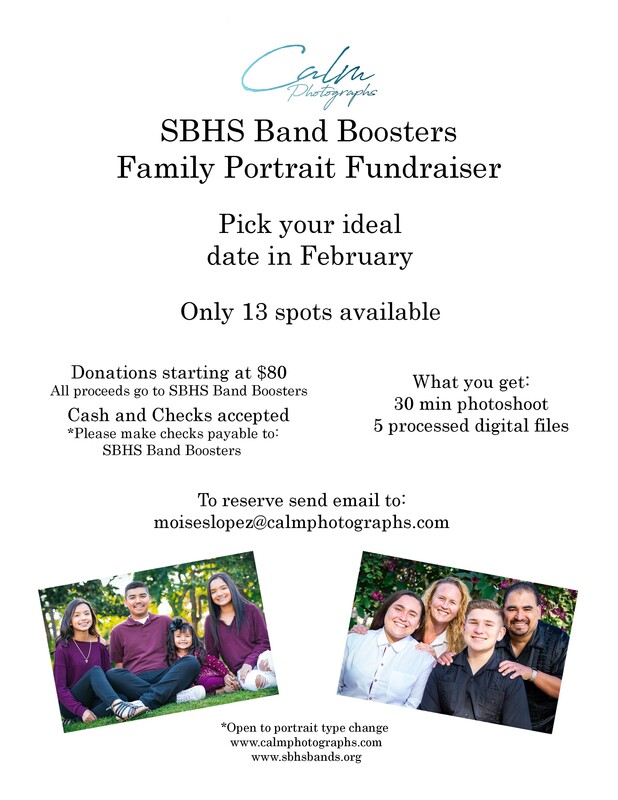 The SBHS Band Boosters is holding a unique fundraiser - Family portrait sessions. Only 13 spots will be available and will be held any day chosen in February. Donations start at $80 for a 30 minute photoshoot and 5 processed digital files. Don't miss out on supporting your local high school band and having wonderful photographs to cherish. Cash and Checks accepted - Please make checks payable to: SBHS Band Boosters. All proceeds go to SBHS Band Boosers. *Calm Photographs is open to portrait type change. Jason McIntosh, president of Granite Management Group, an affiliate of Santa Barbara-based Granite Capital Group (GCG), was a finalist for the Most Outstanding Executive of the Year award presented by the Apartment Association of Metro Denver. McIntosh was honored at the association's November 9 "Tributes 2018" awards ceremony. The Board of Directors of Downtown Santa Barbara Organization, Inc. is pleased to announce that Carrie Kelly has been hired as the new Executive Director. Ms. Kelly has worked extensively in the legal, nonprofit and government sectors in both Indiana and Arizona over her 15-year career and has held key leadership positions. She also earned a B.A. in Art History from Indiana University and a Master of Public Affairs from IU Indianapolis. Peter Otte is the lead developer and creative director of Peter Otte Productions, LLC. A native of Santa Barbara, Peter Otte moved his family here in 2007. POP provides custom PHP development and design services to meet a broad range of requirements. 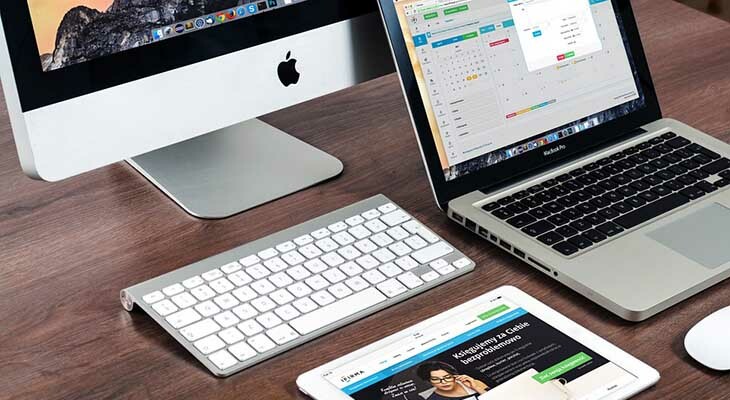 We pride ourselves on affordable, flexible, resourceful custom PHP development tailored to meet your specific needs. AHA! is thrilled to welcome Rand Rosenberg, Lisa Boisset Babcock, and Nancy Hamilton to our Board of Directors. 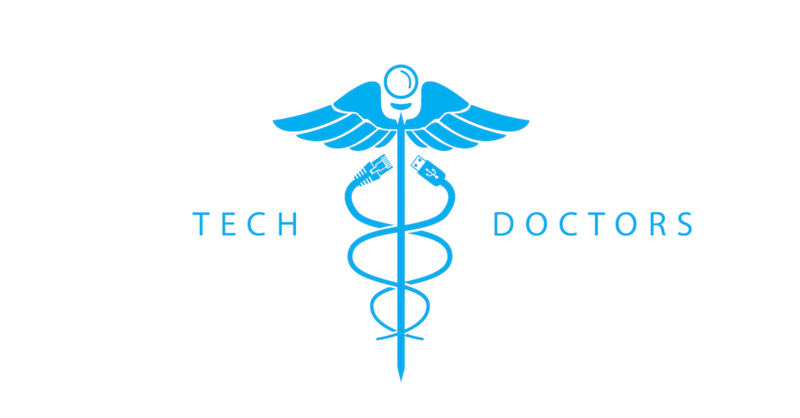 I want to introduce myself, I’m Paul from Tech Doctors -- we’re your on demand Apple certified technicians here to help you with any of your computer and electronic needs. We’ve been in service in the Santa Barbara and Montecito area since 2014 and pride ourselves in building our business on trust, accountability, and expertise. Our main goal is customer satisfaction and preventative care. We won’t leave you high and dry! 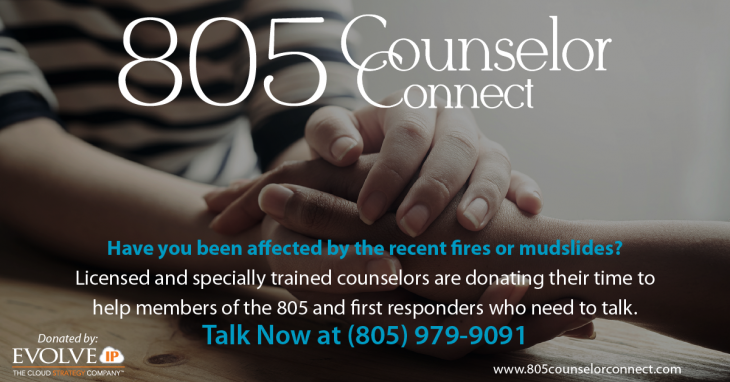 Evolve IP®, The Cloud Strategy CompanyTM, and 805 CounselorConnect, today announced that fire and mudslide victims struggling with the tragedies in the Santa Barbara area can talk with volunteer therapists who are either licensed or specially trained by calling (805) 979-9091 or visiting www.805counselorconnect.com and clicking to call. Guard Grabber is the security app at the forefront of innovation throughout the personal and corporate security industry. It is a new system for hiring and delivering security personnel that is transforming the way booking is done. Using real-time G.P.S. to support the tracking of your security personnel as they travel to your requested location, Guard Grabber is the newest on-demand platform that puts you in full control of all your security services. It’s simple, smart, and easy to utilize the five protective services from just about any location. In an effort to raise awareness about the numerous services available to people in need through health centers, CenCal Health joined organizations across the nation in recognizing the many services America’s health centers have provided over the last 50 years during National Health Center Week August 13th through the 19th. Hospice of Santa Barbara was pleased to recognize and celebrate the heroes in our community last Wednesday at its “Jewels by the Sea” luncheon and awards ceremony, held at the Four Seasons Biltmore, Coral Casino. MedBridge, a leading provider of ambulatory surgery center (ASC) and physician practice development, management, consulting and revenue cycle services, has recently implemented a corporate infrastructure change through the creation of a Senior Management Team. Axia Technologies, a leader in payment technology and security, announced that it has named Dan Berger as its new Director of Sales. Mr. Berger will be in charge of managing and increasing Axia Technologies' network of sales representatives and new market opportunities. When it comes to building a healthy life filled with opportunity, Pacific Premier is banking on the bright futures of students who live at Peoples’ Self-Help Housing (PSHH) properties. Knowing that being able to live in safe, affordable housing is only the start, the community bank, headquartered in Irvine, has made a $20,000 investment towards the opening of the nonprofit’s newest education center in Santa Barbara and to general operating support for San Luis Obispo County. (Photo credit Paul Clay.) Las Cumbres Observatory Director Todd Boroson and Founder Wayne Rosing, in the LCO warehouse with the mount for a 1-meter telescope. Santa Barbara-based international disaster relief organization ShelterBox USA netted more than $225,000 at their first local event “An Evening to Experience ShelterBox” held Sept. 21. We are so excited to share our upcoming events at Healing Hub Santa Barbara.